The cats can save her, but only by turning her into a kitten. 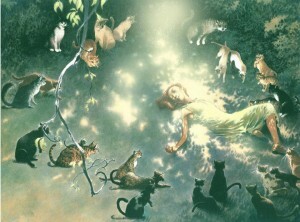 They have been forbidden to work cat magic by the Father of Cats, but Lillian’s death is imminent so they go ahead. Then, scared of what they have done, they run away. Lillian wakes up as a calico kitten, which is interesting – she can talk with the other animals -- but she feels that she is meant to be a human girl and that she needs to be changed back again. If you have read any of Little, Brown’s considerable publicity for this book, you probably expect Lillian to go through the book as a kitten, and to get turned human again in the last chapter. Nope. She is restored to her human body very soon; but due to the laws of magic, she regrets it bitterly and is willing to be turned back into a kitten if she can reverse the effect of the magic. Her quest as a human girl and her interactions with the people of Tanglewood Forest – the talking animals like T. H. Reynolds the fox and the Father of Cats, and the half-humans like the unfriendly Bear People, Old Mother Possum the possum witch, and the Apple Tree Man – are the story. ‘I’m not scared,’ Lillian said. Lillian gave the tree a dubious look. She didn’t see anything that looked like a window, never mind a door. 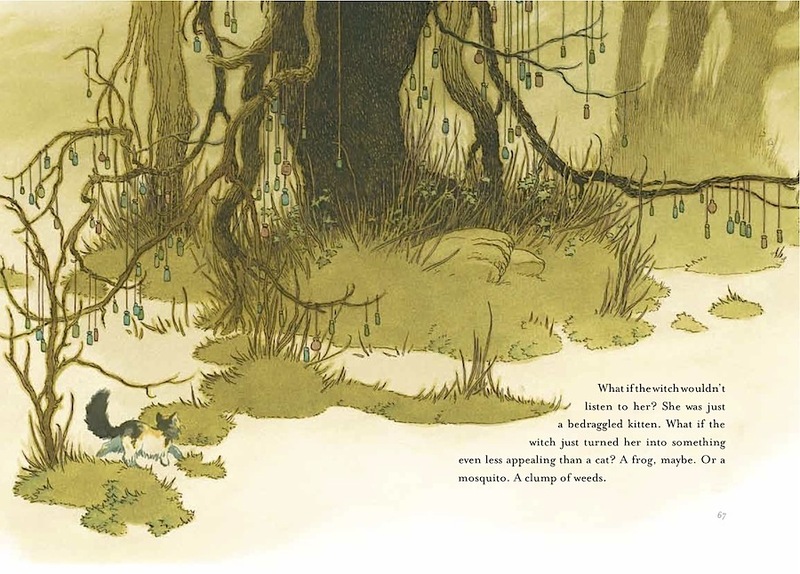 The Cats of Tanglewood Forest is a beautiful book, with full-color illustrations by Charles Vess every few pages, ranging from quarter-page to double-page panoramas. 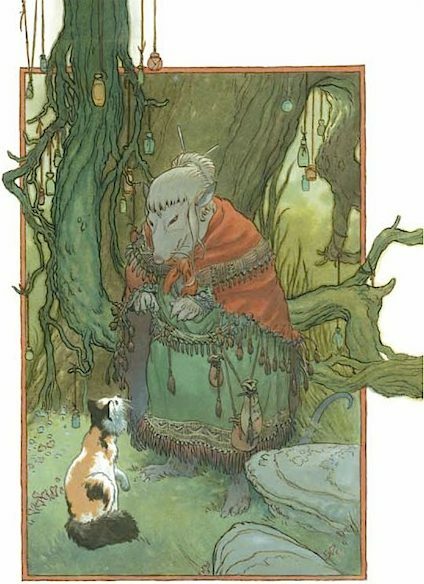 All of the fantasy characters, from the realistic talking animals to the gnarly Apple Tree Man, are fully depicted. The Cats of Tanglewood Forest is an expansion of de Lint & Vess’ 2003 picture book, A Circle of Cats (Viking, 48 pages). 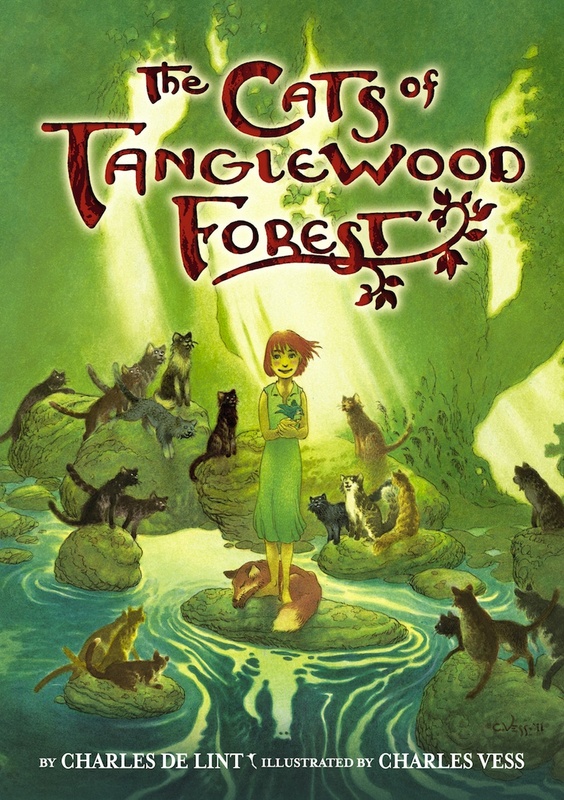 Now older readers – like you – can enjoy the story; which is basically not about a little girl who is turned into a cat. 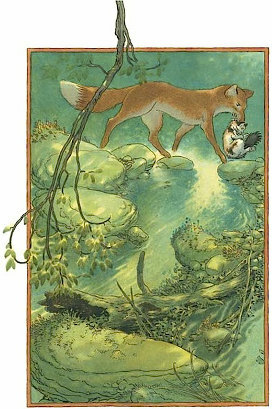 It is that there is magic everywhere in the world. You just have to decide to see it.